On Sunday, October 29th, 2017, many Protestant churchgoers learned that the 500th anniversary of the Reformation was nearly upon them. It was on October 31st, 1517, that Martin Luther had nailed his 95 theses to the door of the Castle Church in Wittenberg, Germany. Even though Luther was not the only reformer and certainly not the first reformer, and even though Luther never intended this act to be any kind of defiant protest, many historians point to this event as the one of the main sparks that ignited the flames of Reformation. With it being now 500 years since, many of these same Protestant churchgoers may have wondered if the Protestant Church’s split with Rome is still a necessity today. Does the Reformation of the church still need to be going on? If so, would there ever be a time when Protestants would declare the Reformation over? Hauerwas’s depiction of the issues that caused the Reformation is unfortunately myopic, and it can’t really support his claim that the Reformation is over. However, he is right that the Reformation was not about “one thing;” rather, many historians have narrowed it down to five things. These five things are commonly known as the “Five Solas”: Sola Scriptura, Sola Fide, Sola Gratia, Solo Christo, Soli Deo Gloria. It is these five solas that divided Protestants and Catholics 500 years ago, and it is these five solas that still divide them today. 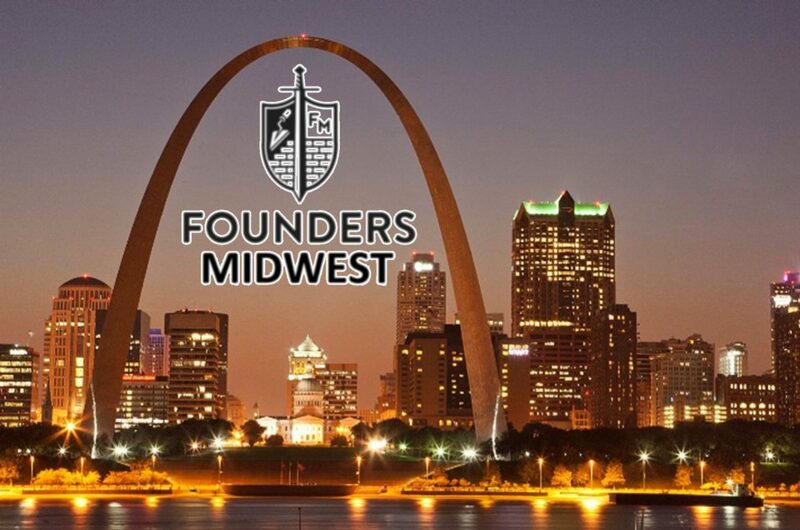 Thus, through a series of short blog posts, over the next couple of months, the Founders Midwest blog is going to examine each of the five solas in order to show why each one is still important for the church today. Our first entry will begin with Sola Fide. How is a man made right with his God? Answering this age-old question has continued to divide Protestants and Catholics for these last 500 years, and answering it correctly can only be done with a right understanding of the biblical doctrine of Justification. In the time of the Reformation and even to this day, the Roman Catholic Church has taught that a man is made right with his God, that is, he is justified before his God, through a continual process that is based partly upon the work of Christ and partly upon a man’s own works of righteousness performed through Rome’s sacramental system. However, what the Bible teaches, and what the Reformers recovered from it, is that in a one-time, justifying act, God counts a man as righteous before him by faith apart from works. This concept is clearly taught by Paul in Romans 4:2-8 when he writes that Abraham, in a one-time, justifying act (see Genesis 15:6), was counted as righteous before God by faith apart from works. This is the Reformation teaching of Sola Fide: A man is made right with his God by faith alone. Now even though the Latin phrase sola fide translates as “by faith alone,” faith alone is not the grounds of a man’s justification. Only the completed work of Christ, His life, death, burial, and resurrection, is the grounds of a man’s justification. Faith alone is the instrument then by which God unites a man to Christ’s redeeming work, for it is the very righteousness of Christ that God credits to him by faith (see Romans 3:21-22; 1 Corinthians 1:30; Philippians 3:9). Thus, with respect to Sola Fide, this saving faith is never faith in and of itself; rather, this saving faith must always have Christ and Christ alone as its object. The importance of Christ as the object of saving faith is clearly emphasized in many works born out of the Reformation era. So why is it so important to make what seems to be such an obvious emphasis upon Christ as the object of saving faith? The need for this emphasis is evident in the answer to the catechism question. The offer of the gospel to the sinner who would be saved is the offer of Jesus Christ. Returning to the age-old question of “How can a man be made right with his God?”, when we proclaim the gospel we are setting forth Christ as the answer to that question. To the hearers who would hear us, we do not exhort them to have faith alone, we exhort them to have faith alone in Christ. Only look to Christ for your justification. Only look to Christ for your sanctification. Only look to Christ for eternal life, believing in Him, trusting in Him, resting upon Him alone. Thus, the need for the emphasis upon Christ as the object of faith in the Reformation teaching of Sola Fide is because Christ and only Christ is the offer of the gospel. To make anything else other than Christ the offer of the gospel is to proclaim a distorted gospel, and to make anything else other than Christ the object of faith is to believe a distorted gospel. This emphasis upon Christ as the sole object of saving faith can also explain why the Reformation is needed even today. While it is true that the Roman Catholic Church still proclaims a distorted gospel by setting forth Christ along with its sacramental system as the offer of the gospel, it is also true that many members in the Protestant church believe a distorted gospel, that is, a false gospel in which Christ is not the sole object of their faith. For example, within the Baptist church, there are many members putting their faith and trust not in Christ alone, but in a prayer that they prayed when they were younger. There are many members putting their faith and trust in their baptism or in their decision to walk down to the altar to receive Jesus. There are many members putting their faith and trust in a date scribbled in the back of their Bibles, signifying the day of their conversion. Now doing these activities is in no way a distortion of the gospel; however, trusting and believing that these activities make one right with God and teaching the same is as damnable an error as Rome’s distorted gospel. It is substituting one sacramental system for another. It is not having faith in Christ alone. *Special thanks to Duane Lindsey, fellow member at FBC Park Hills, for recommending some helpful edits and clarifications.